Would anyone be interested in an Indo-Greek scenario? 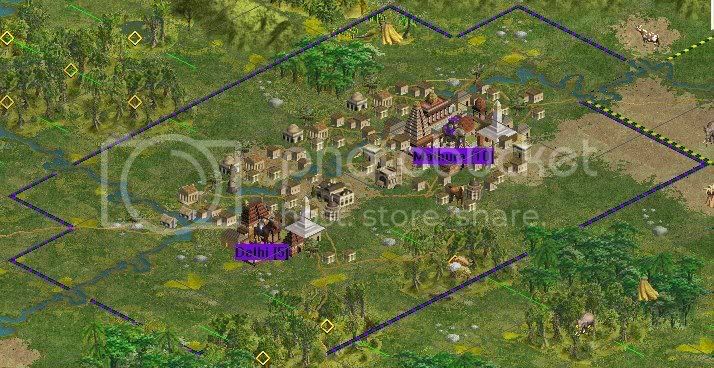 Discussion in 'Civ3 - Creation & Customization' started by Virote_Considon, Apr 12, 2009. So, the ancient Greeks were cool. The ancient Indians were cool. What do you get when you combine them? The coolness that is the Indo-Greeks! So, would anyone be interested in helping make an Indo-Greek scenario? I have quite a bit of enthusiasm, but almost no knowledge (Im limited to what Wikipedia tells me, at the moment). Ive got a few ideas, though, and I can post the amount which I have already done at some point. -Civilizations are pretty much complete, though theres room to add more if needed. -Units are mostly done (the flavoured unit lines are added in, although theres no unique units, and a few units which will be auto-produced arent there, either. Some time soon, Ill post a few updates about things such as civs, gameplay features, and all that jazz, and let you lot dissect it. Then at some point after that, I can upload what Ive done thus far, and you can dissect this further! So, would anyone be interested in helping make an Indo-Greek scenario? As you can see, the map encompasses quite a distance. I purposefully included Indonesia, because even though they weren&#8217;t at this point settled, I think that the ability to settle them should be in (especially since the map can get quite crowded!) It also includes most of the Han (who you can trade with if desired &#8211; although they can be quite the formidable force to take!) To the north, there is plenty of space for barbarians to spawn &#8211; which the Steppe peoples can enslave! To the East, I have most of Arabia and pretty much all of Parthia, but it doesn&#8217;t go far enough to include any other states &#8211; which will make the Greek civs in this scenario as isolated from the Greek world as they were in real life! The scenario&#8217;s leading role, the Indo-Greeks. They&#8217;re gonna be pretty strong &#8211; the strongest civ in India. 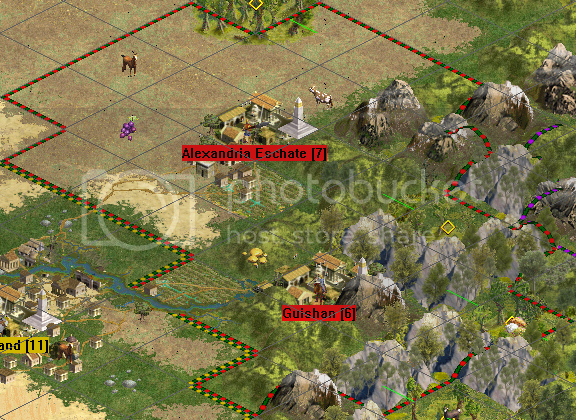 They are locked into an a-historical alliance with Bactria and Dayuan, for gameplay reasons. 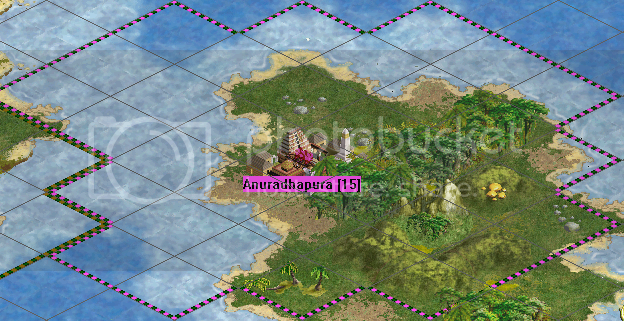 One of the Northern Indian civs, they play like any other, really. Squished between the Sunga and the Indo-Greeks, these guys don&#8217;t have it too good! Bactria is a civ who I&#8217;m setting up to be destroyed, pretty much. They are in a locked alliance with the Indo-Greeks and Dayuan (read: 2 liabilities! ), and they only have a set amount of their unique unit, the Bactrian cavalry. They have both the strong Parthians and the Steppe civs on their doorstep, and they aren&#8217;t going to have the defences of the Dayuan allies. The Saka act like pretty much all nomadic civs. They can&#8217;t build workers or settlers, and have one unreachable city which stops them dying. What they can do, is enslave masses of units &#8211; all of their units enslave a unique Steppe unit line. They also have strong Nomad king units, which are the strongest units of the game! 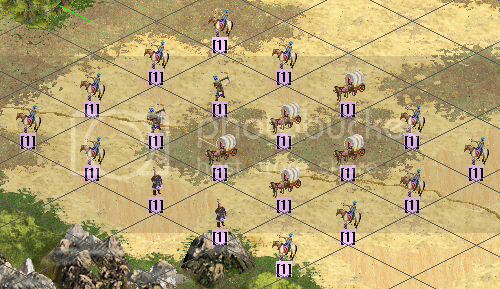 Scythia are pretty much identical to the Saka, and other nomadic civs. They&#8217;re here to make everyone&#8217;s lives a misery! If, for whatever reason, we need an extra civilization space, Dahae can fill it up. Other than that, the Dahae act like all the other nomadic civs &#8211; they can wreck havoc on all the other civs! 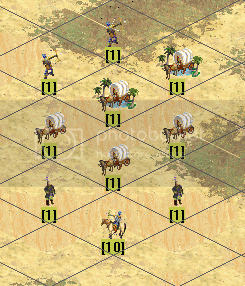 Another nomadic civ. These ones have access to a lot of pre-placed Barbarians at the beginning of the game &#8211; they can often enslave masses of them! Other than that, they&#8217;re there to carve up the other states, really. Parthia is your extremely powerful foe to the West. They have all the best parts of the Steppe civs, along with all the best parts of a sedentary civ! (with a lot of starting cities to boot!) Luckily for them, the map doesn&#8217;t go further West, so they won&#8217;t be wasting all their resources over there, and can focus on bringing down the Bactrians, or whoever else takes their fancy. Starting Cities: Too many to name here! Including Ctesiphon, Tus, Susa, to name but a few! Unique Unit: I&#8217;m undecided on whether they get one, really. Probably will have some kind of cavalry or something, to compensate on the fact that they only start with a couple of nomads. A pretty powerful kingdom in the Northern Deccan. There&#8217;s not much to say, really. They&#8217;re sandwiched between the north and south, with a little room to expand. They could also expand via their navy, if need be. Although technically a northern state (IIRC), they&#8217;ll play like the southern states. Your stereotypical Deccan state, these guys start with a reasonable navy, albeit, with nowhere to really expand, especially since they&#8217;re sandwiched below the Cholas. 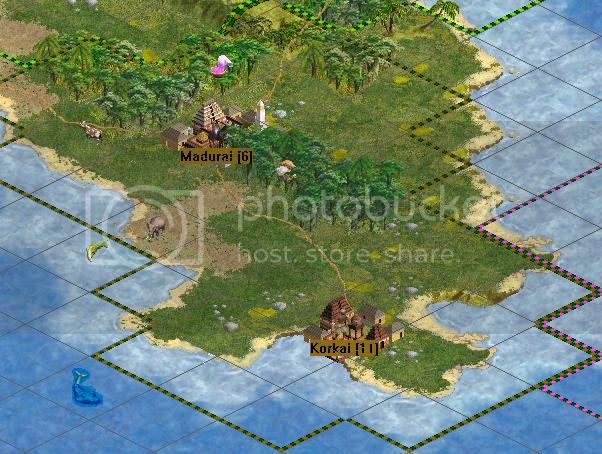 Another southern Indian civ. These guys have it hard due to starting on Ceylon, and having only one city. However, their navy is fairly decent, so they can ship a few colonists off places. Chola play like any other Deccan civ, really; limited room to expand, small starting navy. Another state who are a mix between sedentary and nomadic. 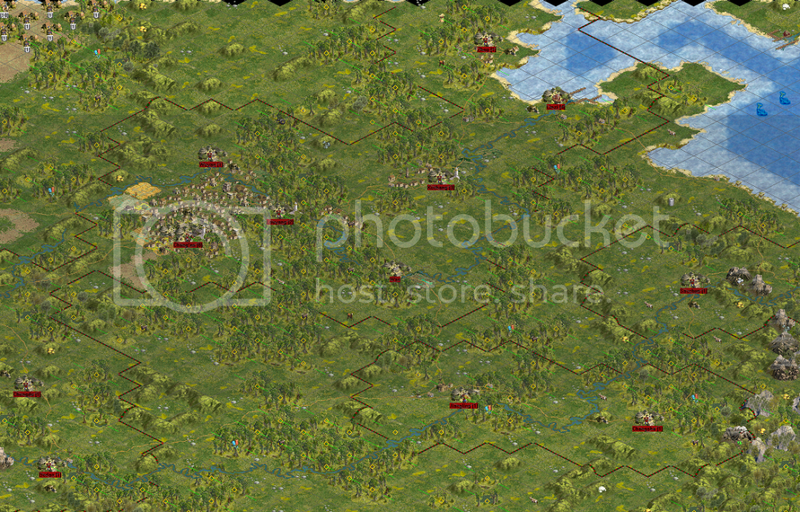 They, like the Parthians, have starting cities, and they too can build more settlers and workers. Furthermore, they have pretty much the whole of the Tarim Basin to themselves (although when playtesting, I&#8217;ve found those pesky Dayuans planting cities there, too!) They also have all the Steppe unit lines. They act like any other nomadic state, although due to proximity, should (in theory) be predestined to attack China. This is a hard civ to play as, because they have the Chinese knocking on their doorstep. They only have one starting city, though plenty of room to expand. They do (luckily for them) start with an army, though. The Pyu have a lot of room to expand, although they may feel the brunt of a Chinese attack. An artificial mountain range protects them from any immediate Indian threat. The Han are the big boys of the East, although when playing, they often find their meddling ways down south into India! The third Greek state, tiny little Dayuan are going to be better prepared than you&#8217;d think to whether the inevitable nomadic onslaught! They&#8217;re locked in an artificial alliance with the Indo-Greeks and Bactria. Another nomadic state, these guys don&#8217;t have the same ready access most do to barbarians, although I&#8217;ve seen them enslave plenty still! Poor Kashmir start the game trapped between the Indo-Greeks and the Himalayas. Still, they&#8217;re pretty much the same as any other northern Indian state. Again, just like any other northern Indian state. The &#8220;special features&#8221; of their start is that they start wedged below the Sunga, but also with coastal access. Sort of like the other northern Indian nations, Uddyana suffers due to being on the &#8220;wrong&#8221; side of an artificial mountain range, right in the midst of Parthian ambitions. A more peaceful &#8220;trader&#8221; civ, these guys are pretty out of the way of the action &#8211; although this may be a different story if you decide to colonise the Arabian peninsula! There's a lot to absorb in the description. I've got a lot on my plate for the next couple of days. * I intend to post a more detailed response. 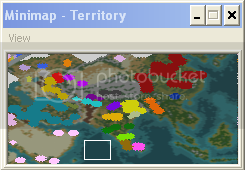 I'm sure I can help you with a lot of the blank spots in the Indian culture groups, for example. I'd also be happy to work on tech icons, etc. I'm in the midst of realigning the meat puppet's routine so as to free up more time for my RL here in the digital cloud. That should be interesting Virote! Hey Virote, have you considered a way to implement the almost endemic civil war and dynastic struggles that plagued the Indo-Greeks? It would be a very interesting thing to include. Pollution could be 'rebellions' and certain buildings (such as the palace) and wonders could have high pollution values. I've just done a new Greek leaderhead if you're interested in using it in the mod. 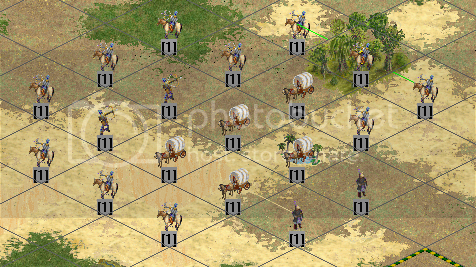 Now for one of the gameplay features, the Nomads, who IRL played a pivotal role in the fate of the Indo-Greeks. 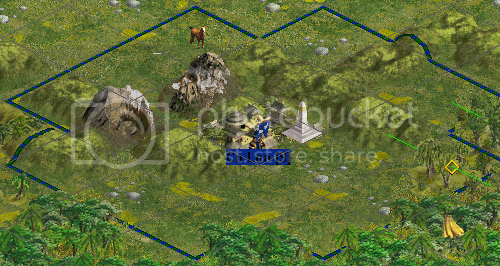 Firstly, Nomads can't build additional cities, but have an unconquerable starting city in the corner of the map (initially, they had none at all, but this seemed to cause crashes). All units are, however, free. Not that this matters too much, as you'll see below. 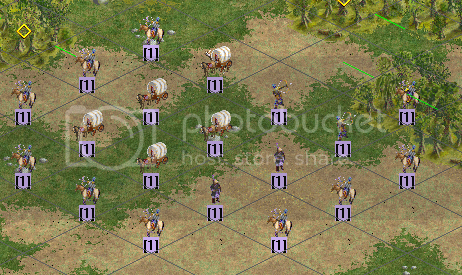 Nomads start with some really strong "Nomad" units. These are their kings, but they are easily the strongest units of the game, with 6 for both offense and defense. 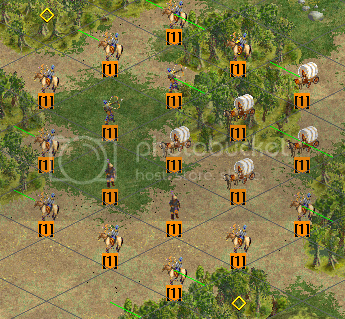 The "fully" nomadic states, such as the Scythians and Saka, start with 5 nomads. The more "sedentary" nomadic states, such as Parthia, Tarim and Tibet, start with one or two. Nomads are one of the only "non wheeled" units of the game, so they can traverse the mountains, and strike pretty much anywhere! Now, the real meat 'n' veg. 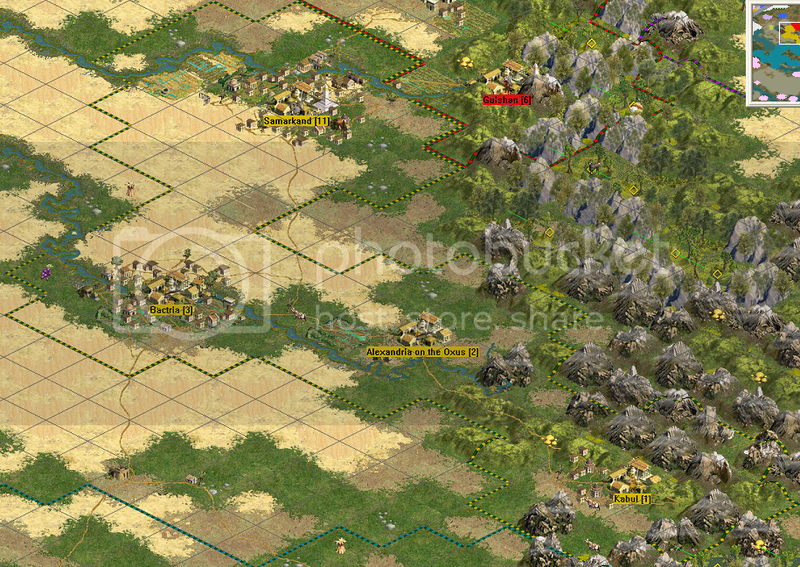 The nomads can't build units, apart from through their cities which are surrounded by impassable terrain, right? Well, all steppe units enslave. There is a whole line of units which can then be enslaved, making for five units in total, each one enslaving the next. The fourth unit is a fairly weak hidden nationality unit which can also traverse mountain tiles. If this unit enslaves, it enslaves another nomad. 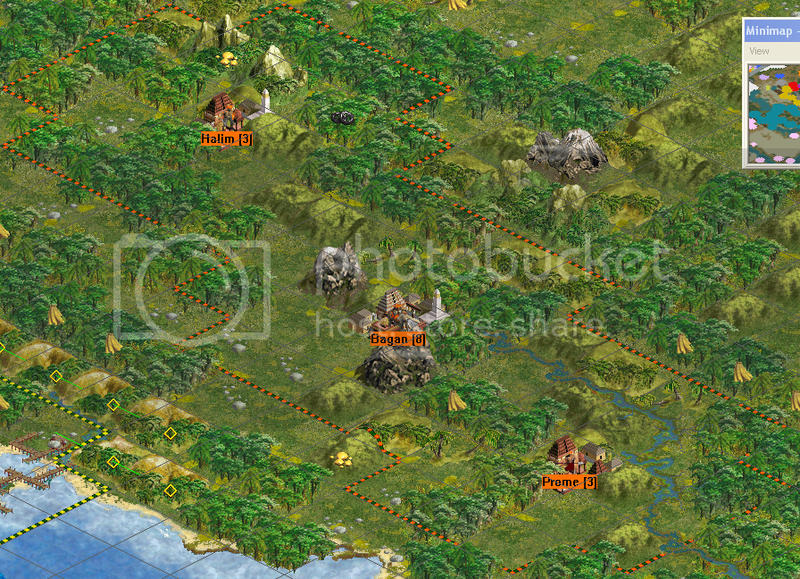 To top it all off, most of the Steppes are littered with pre-placed barbarians, ripe for enslaving. From playtesting, the nomads sometimes work as planned, but sometimes don't - sometimes they seem to be just sitting ducks. However, when they get involved, they can really carve things up! So, that's how nomads work. IIRC, the RFRE mod uses the slave revolts = pollution thing. Here is a "basic outline" of the scenario. Basically, it's playable, but nowhere near complete. Improvements/wonders, governments, 'pedia/scripts/lables, all need to be worked on. Mass regicide is on, with most civs having 3 kings, some (mostly nomads) with more. But despite the fact that it isn't finished, it's still fairly fun to play, even if the pace is very slow at the moment... Definitely something which needs to be worked on. Looks interesting (have downloaded, but not played yet). For greeky buildings, I'd go for *SHAMELESS PLUG ALERT* these conversions I did from Ikariam. *SHAMELESS PLUG OVER*. How about a tech called 'Buddhism'? Currently includes: 55 Tech Icons; 76 Buildings; 60.5 Wonders; 29 Civiliopedia Pictures; 7 Specialist Citizen; 4 EraSplashes; 20 Interfaces; 2 Goodyhuts; 3 Space Race Videos; 1 Space Race Screen Set making a total of 257.5 items. I'm sneaking a look at the forum in the middle of class. I will have some comments for you tomorrow. Some techs & maybe wonder ideas. This, RA's Mesoamerica, and Madeira's Atlantis scenarios are so exciting! Besides, it's not tomorrow yet. But thanks for the reminder. how about this for a start: The Giant Buddhas of Bamiyan (wikipedia article). Towards the bottom of this post is a description of how they looked in their prime. I'm not sure of the time frame you envision for the scenario. The Buddhas were built in the 6th c. CE. The kingdom of Ghandara where the Buddhas were built was smack in the middle of the whole Indo-Greek thing. Taxila was one of its main cities. Now it IS tomorrow, at least here . Should the two Buddhas be a Great Wonder? Or a VP location? Or a +50 gold resource? Or a combination of all of those? You could have two separate wonders, Salsal and Shamama (i.e. one for each statue). The wikipedia article you cited says that they were built in the 6th century AD. Isn't that a bit too late for an Indo-Greek scenario?